Happy Friday ladies, we have made it to the weekend (almost)! I hope everyone is gearing up for a fun weekend with some nice weather wherever you are! In today’s world that we live in it is SO easy to get caught up in the comparison game. 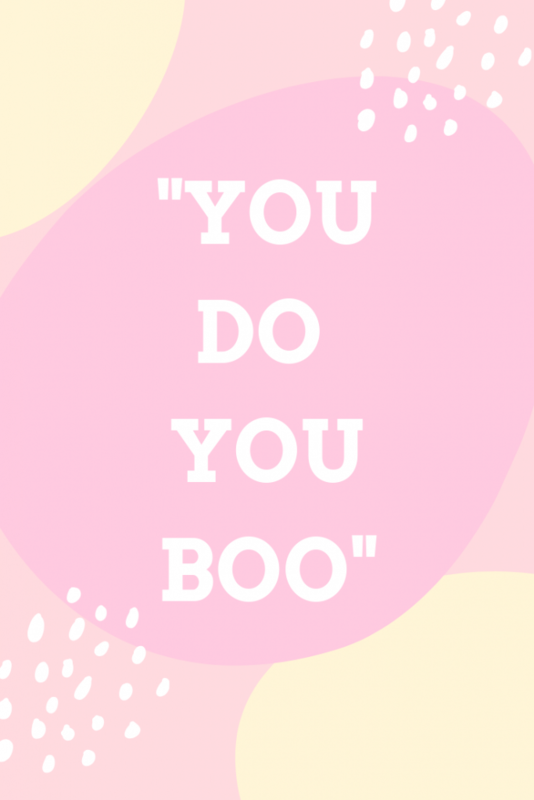 Whether its on social media, things at your job, how you parent, what you eat – whatever it may be, we all feel it no doubt. We must remind ourselves that we are all on a different journey/different path. What I do isn’t going to be right for you, and what other people do isn’t going to be right for me. This has been hard for me lately especially as I transition into my new role of self employment. 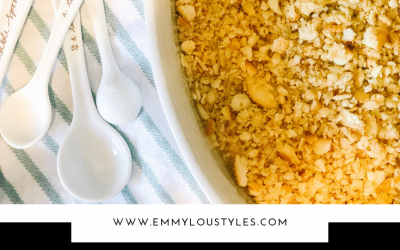 Now that I have more time to work on Emmy Lou Styles (in addition to the other projects I have for clients) I find myself a tad overwhelmed with what to share here. Are people going to like it? Do people even care about what I have to say? All thoughts that go through my head on the reg. The one thing I am promising myself and you, is that I am just going to do me. That’s it. Plain and simple. 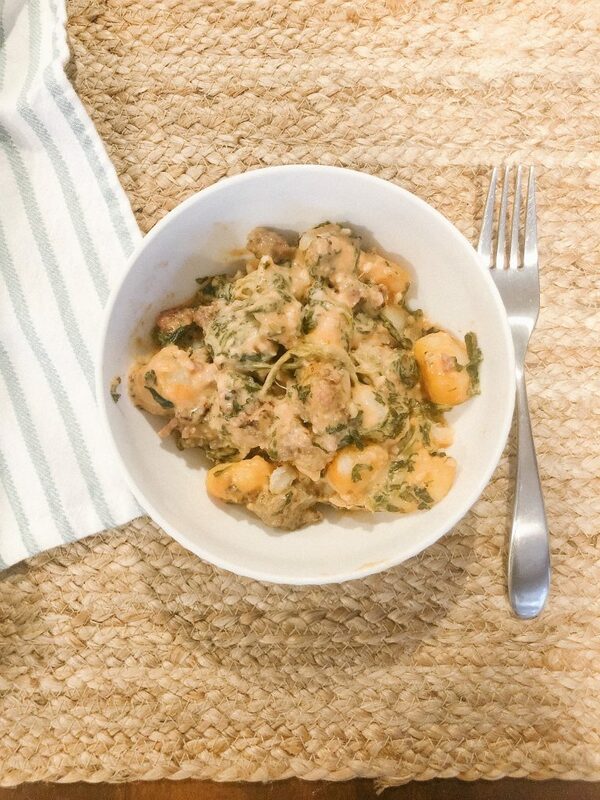 This was one of the recipes I threw together this week. It’s based off of a random mix of other recipes I saw on Pinterest, but I didn’t have all of the necessary ingredients so I modified a bit. It turned out great + we had leftovers! I shared these shoes on my IG feed this week and you guys went crazy over them. If you’re not familiar with Dr. Scholl’s Shoes, you should be. I’m a tad partial because I worked on this brand at a corporate level for several years. They are doing amazing things as a brand and they make some pretty stylish AND comfortable shoes too! 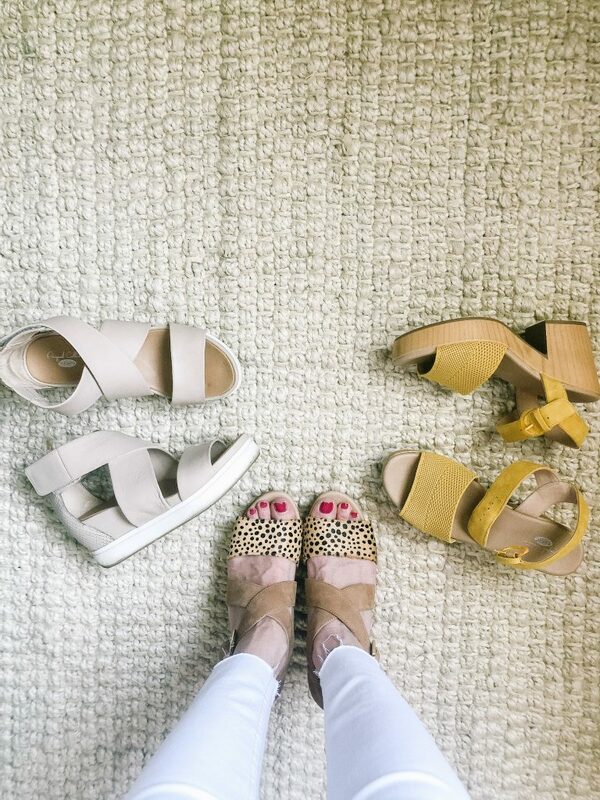 These are my favorites for spring and summer! Tis the season to break out some spring home decor. I personally tend to keep things simple and go off of the motto “less is more”. 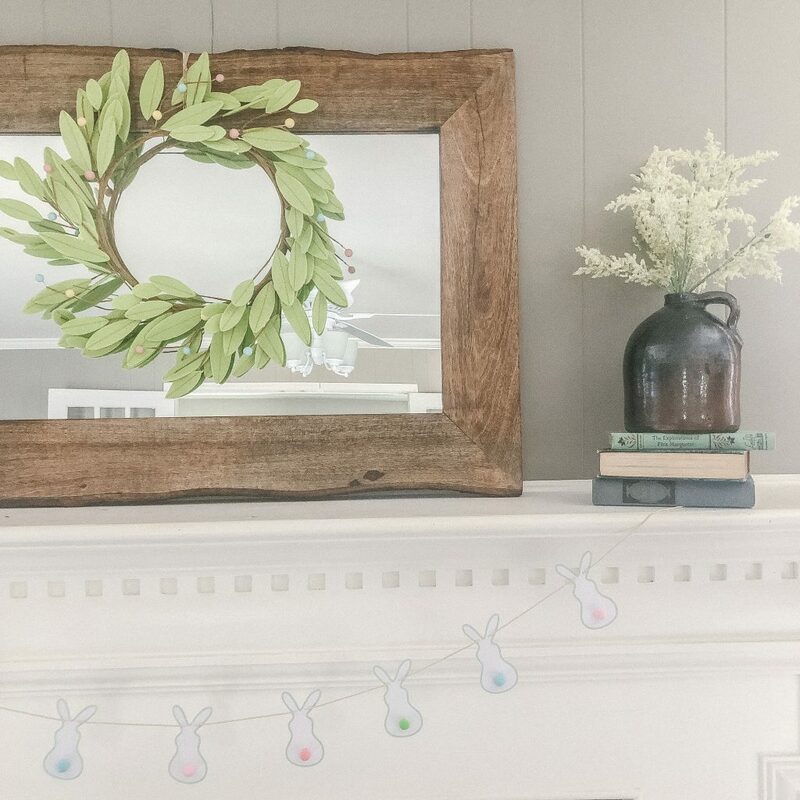 I specifically wanted to show you this adorable bunny garland that I got from the gals at Party Hop Shop! They are friends of mine that own a party in a box business. It’s awesome because you can rent party decor OR you can buy it so that you can have your very own Pinterest inspired party without the hassle of having to DIY a bunch of stuff. Pretty brilliant if you ask me! 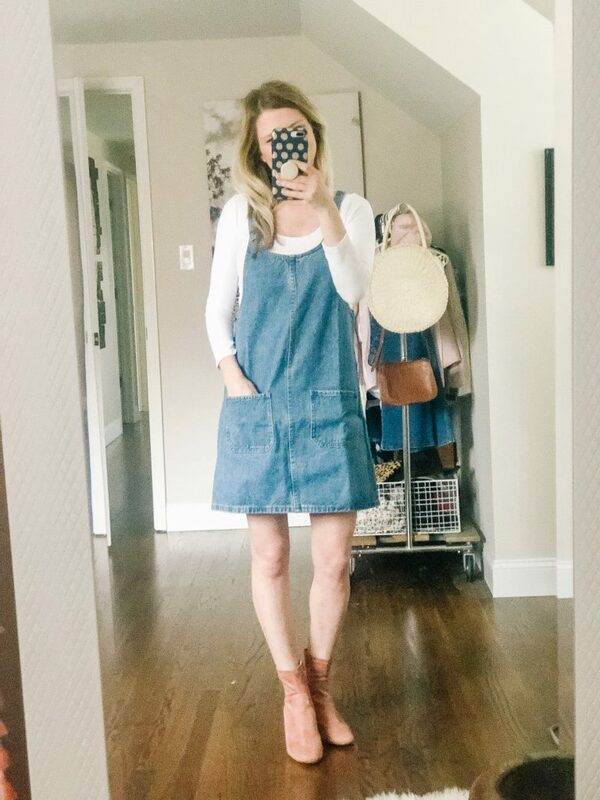 I became victim to an Amazon sponsored ad this week – shocking right?! 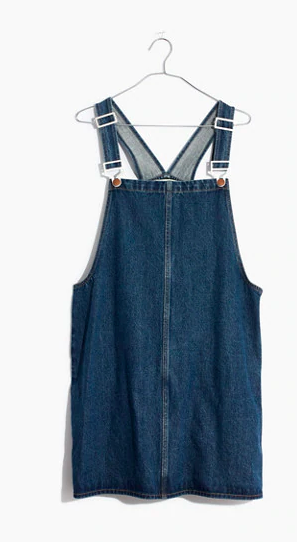 This cute little denim number looks like it’s from Madewell, but half the price! Since the reviews were positive, I decided to order it. If you want to snag one for yourself, the link is below! Have a great weekend! 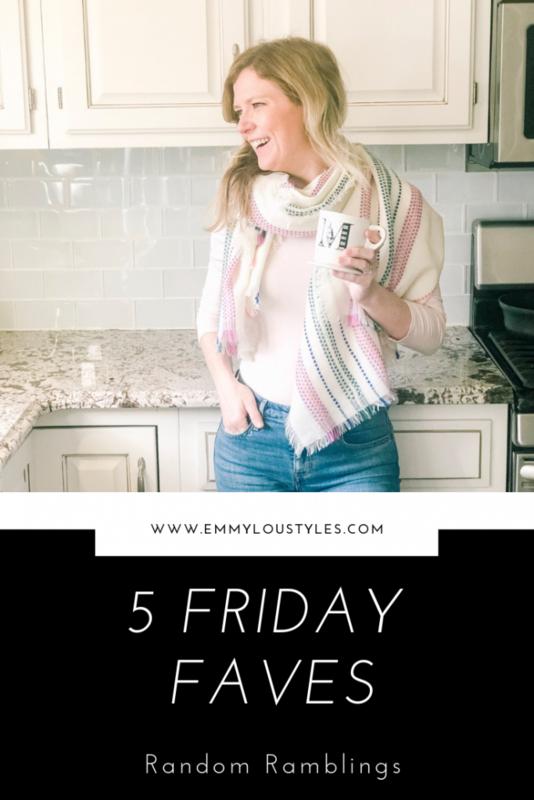 You can check out last weeks Friday Favorites here if you missed it!